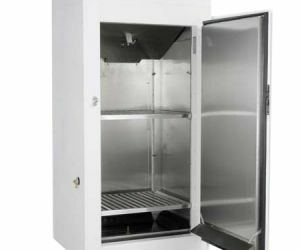 This Percival® Scientific Dew Formation Chamber is ideal for conducting plant pathology research studies. The dew chamber simulates the natural elements to achieve the best conditions for dew formation. By causing the plants to radiate energy to the chamber heat sink, the plants are maintained below the dew point of air, resulting in natural dew formation on the plants. 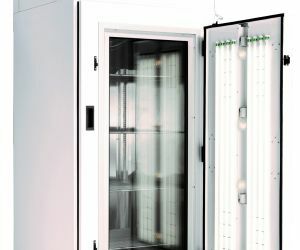 The functionality of the chamber is easily controlled via the Percival® IntellusUltra controller, allowing users to customize the chamber conditions to best meet their research needs. Percival Scientific has built a reputation of providing flexible, customized options for research scientists around the world. We’ve taken that philosophy to the next level with our improved IntellusUltra controller. Now choose from the levels of functionality that meet your research needs. Natural air flow provides temperature uniformity during the dew deposition period. 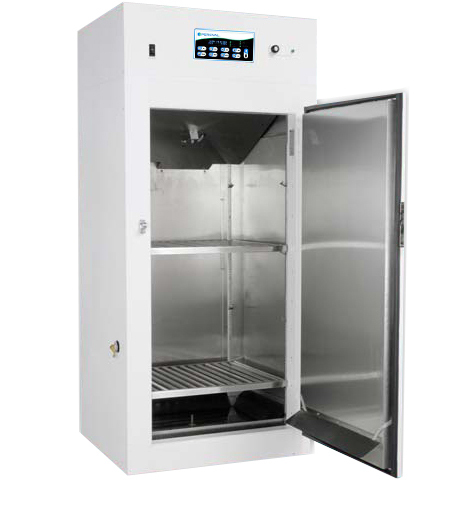 As heat is rejected, it rises and is dissipated into room without having any effect on inside temperature of cabinet.